Niantic Labs is reportedly prepping for a huge Pokemon GO update this December. Since its phenomenal release, Pokemon Go’s user base has sharply declined. Users became disappointed with the app after features have been taken away and replaced with less interesting additions. This comes along with plenty of other inadequacies that the team over at Niantic are rushing to repair, and remedy with new, exciting additions. No official announcements have been made, but along with the recent addition of Ditto, many are speculating that we’ll see more legendary Pokemon along with the inclusion of a large number of Johto region creatures. It’s too soon to say if the upcoming update will excite users enough to return, but Niantic doesn’t seem to be concerned just yet. The game is still standing tall as the most successful mobile game of all-time with over $600 million in revenue. Will you be returning to Pokemon Go for a chance to catch all your Johto favorites or are you out for good? Let us know! Follow NERD HALL for Pokemon news, and more! Rowlet, Litten and Popplio will be your new starter Pokemon of choice once Pokemon Sun and Pokemon Moon roll around November 18th! Let us know who your favorite starter of all-time is! The time has come where Nintendo joins the app world in a very big way. With one of the biggest franchises of all time. 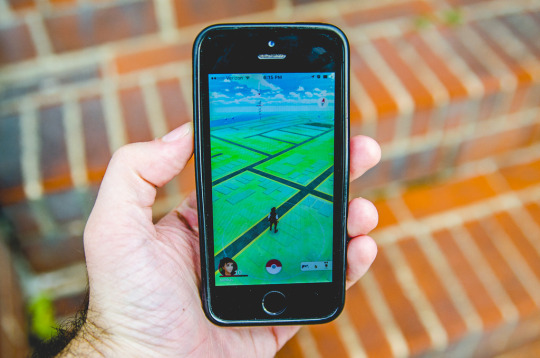 Pokemon GO will be an app available on iOS and Android. From what we can gather, you’ll go out with your smartphone, and discover Pokemon lurking in the “wild”. Using your smartphone, you’ll be able to find new Pokemon wherever you go, capture them, train them, and use them in battles. From the trailer, it seems like there will also be major events held to capture rare, and powerful Pokemon. As shown in the trailer. We haven’t seen much yet in terms of interface or how the wearable Pokeball attachment will work, but it’s safe to say, we’re excited. The prospect of taking the world of Pokemon from your DS, and applying it to reality is something those of us who played Pokemon as children have always wanted. It’ll also give most of us a reason to get out of the house, and explore our towns and cities in a whole new way. Not to get too deep, but it might give kids (and adults) a new found wonder for the outdoors. If the application is as accessible, and fun as we’re hoping it’ll be. We’re many years away from holographic projections which will be the ultimate form of “real life“ Pokemon, but this seems like it’s trying to close that gap until then. We’re very excited for Pokemon GO. As many of you are well aware, Pokemon has had a stronghold in the pop culture scene for the better part of going on twenty plus years. Those that are familiar, from the ones there from the very beginning at around my climbing age to the young trainers just starting out with the still strong series. Through games, cartoons and several films, we have felt the intensity of the close battles, the sadness of parting with dear friends as well as the triumphs of succeeding through endless trials. Over all, Pokemon has always been about amusement adventure and ultimately fun. 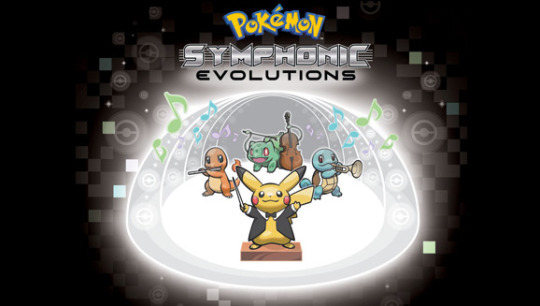 Then you have something like Pokemon: Symphonic Evolutions. More on this in a moment, let me first paint you a picture. Entering the venue, I was assaulted with a barrage of colorful costumes, shiny glimmering DS cases, countless stuffed animals, children of all ages strewn about a mostly empty pre-show area socialising, excitedly talking with friends, playing their Pokemon games of choice, patiently awaiting the show produced by Princeton Entertainment. The sense of familiarity and kinship was high and of course a little shy. The sense of excitement even higher. It’s a Pokemon-themed concert, what else in the world could be better? Pretty much anything as it turns out. Waiting in the seats as the venue barely filled in, the excitement carried on. The large display screens had an endless rotation of everyone’s favorite guessing game: Who’s That Pokemon?! (+10 EXP if you heard the voice in your head) With each new silhouette came a crowd scream of various Pokemon. The orchestra all the while tuning their instruments, preparing for the oncoming show. After a short introduction explaining we’d be going through the music of Pokemon chronologically, we were off into the meat of the show. The orchestra started into the main theme and over head the giant screens show the various openings to the Gameboy games, as well as the introduction to the world of Pokemon, picking your starter, several battle clips, gym leaders and the like in a haphazard not quite flowing manner. Knowing the stories already, perhaps the context isn’t as important but it does lend to the flow of everything. The attention is divided between the game screens and the music itself. The music is flawlessly transferred into beautiful symphony arrangements from the original 8-bit tunes within the games, but it suffers at the paper-thin context as well as the targeted audience. The children are engaged with the displays of the game and the various colorful Pokemon and I’m sure they recognised the reconstituted tunes, but wholly the event comes off as a trite exercise in combining that which does not gel. Not to say it wasn’t a valiant effort, the songs were beautiful, it just doesn’t quite match it’s context. The novelty of it may engage the small cross-section of older fans who also happen to enjoy symphony music as well as the immense impact Pokemon has had on the world over. There may even been a key to something new within the performance, inspiring a young mind to delve into the beauty of classical style music, there is hope, but ultimately everyone present (and there was hardly a full theater) was smashing that mental B button harder than ever.